Em Stafrace| Just a Girl with Ideas: KIDZ RULE OK! Time to share another new release from Simple Pleasure Designs. 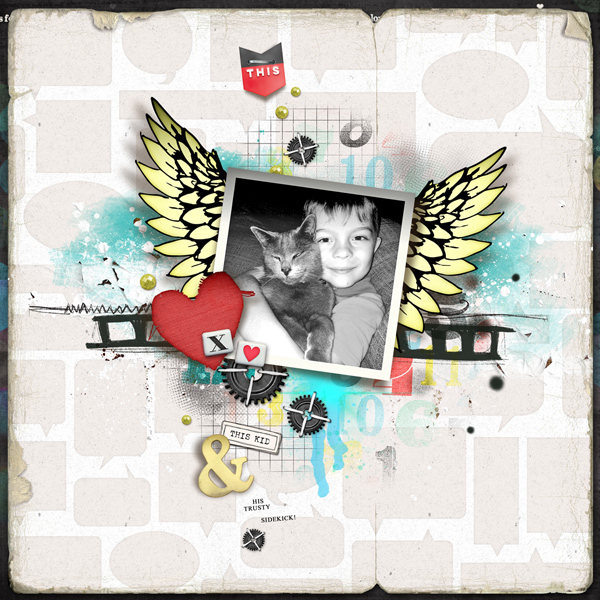 This massive collection is called ‘KIDZ RULE’ and its a fantastic urban grunge style kit. Its also a spin off from the more recent double release WHAT LITTLE GIRLS & BOYS ARE MADE OF... So you’ll find that these two will work really well together. 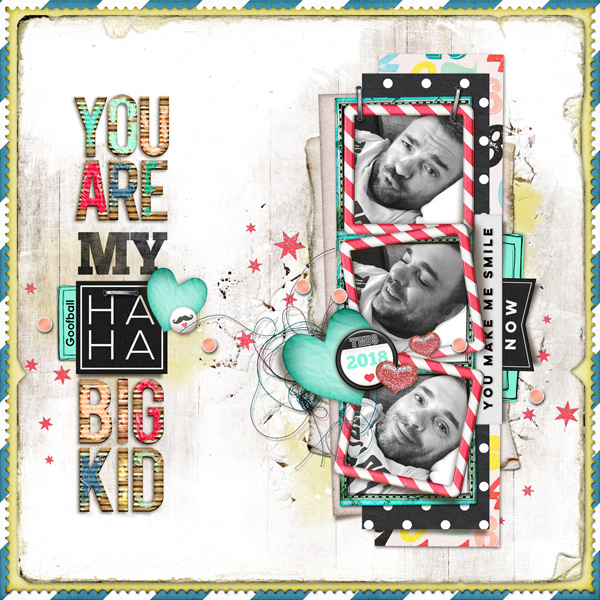 I created a couple of pages using just the new KIDZ RULE collection and a couple mixing them together so you can see for yourself how well the two meld together. Thats the great thing about digi kits too, you can easily mix’n’match, ahhhh the joy! 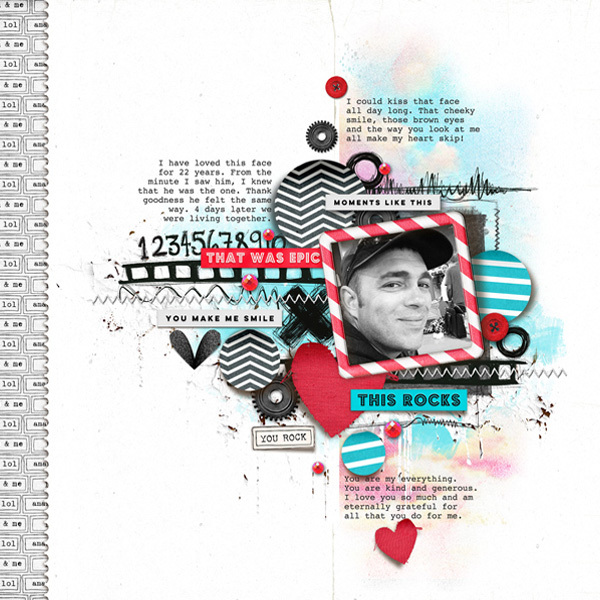 Check out the following pages for some grungy minimal scrapbook style inspiration. 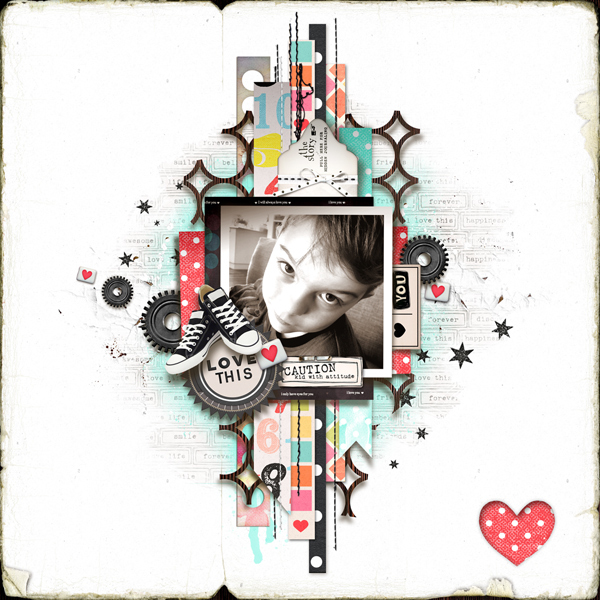 If you grab the collection now you will get this awesome BONUS PACK of Cluster Frames and Borders. Have a great weekend and happy scrapping.